OPEN HOUSE Sunday Mar 22 2:30-4:30pm Wow! West Richmond. 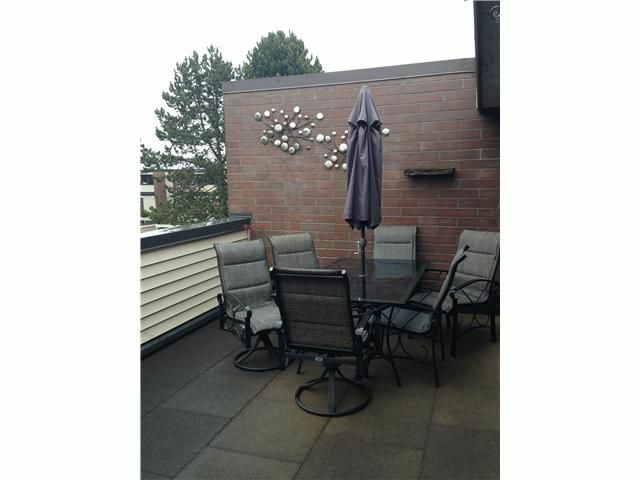 4 bdrm (or 3 and den) townhome in well-kept 'Manoah Village'. Squeaky clean with lovely renovations throughout. The den can be a 4th bdrm or a hobby room. Designer style bathroom with two sinks, glass/stone backsplash in a lovely kitchen,pristine laminate flooring, detail to closets, doors, lighting fixtures - plus a fabulous flush mounted electric fireplace. There is a huge sunny deck overlooking the massive, secured interior courtyard with a playground and a gated outdoor pool, and more. Excellent Steveston location with the elementary school a short walk/ less than a block away.. Stroll on the west dyke or into Steveston Village. You will LOVE this one. Open House: Sunday, March 22, 2:30-4:30pm.